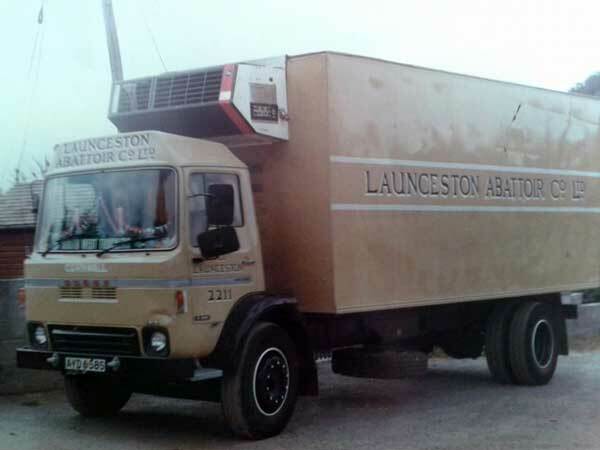 Launceston Abattoir | Launceston Then! 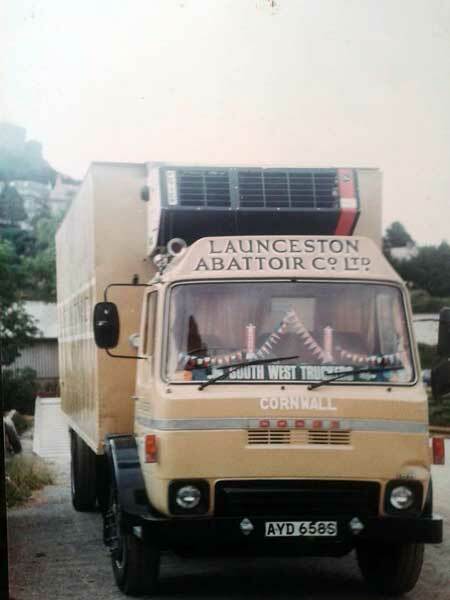 Above Launceston abattoir lorry loading at the abattoir with Roy Burnley playing with the battery Pete Lang, Steve Roberts in the lorry, Simon Matthews going up the steps, in red Martyn Andrew, and young Pearce , the Bosses son. Photo by Geoff Pearce. The Town Council first discussed the idea of a abattoir in the town as early as 1929, but in not wishing to take on a risky business it failed to get past just the talking. However, the idea was still out there and in 1934 the Launceston abattoir Co Ltd was formed by Thomas Percy Fulford, Sidney T Perry, & John Cotton Dennis Greenaway, with a Capitol of £4,000 in £1 shares, on land at Newport by the Kensey. After the Second World War de-control came in and the Abbatoir was taken over by a larger company. During the late 1950’s Mr. C. Goss was the manager. 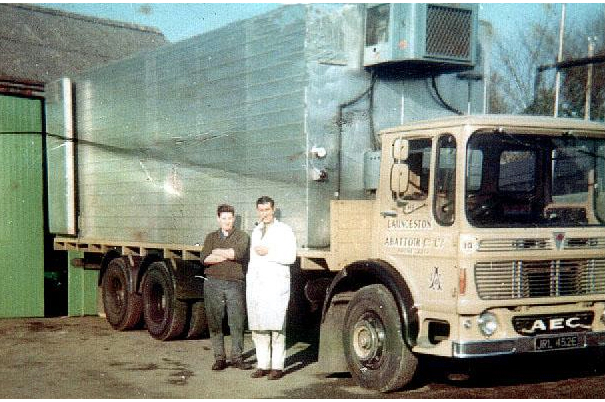 Jaspers bought the business & transferred it to their Treburley abattoir. Treburley was previously owned by Ivor Rex Rowe, known to his staff as the (Surgeon Commander).